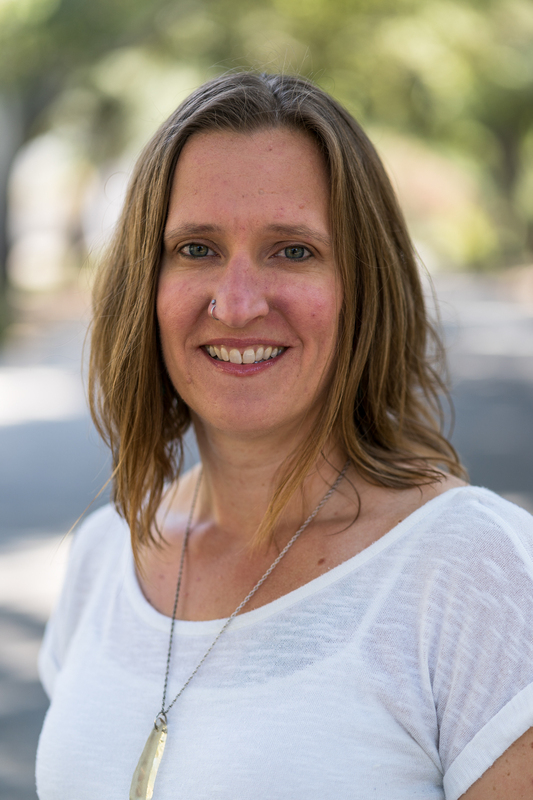 Nicole Moore’s research is focused on the mafic eruptive products of volcanism. She is interested in how the petrology and geochemistry of basaltic magmas, which are generated in the mantle, can provide insight into their mantle sources, and the extent to which various crustal processes affect the magmas during their ascent to the surface of earth. Moore studies these basaltic products in a variety of tectonic settings, including continental flood basalts and volcanic arcs. Moore, N.E., Grunder, A.L. and Bohrson, W.A., 2018, “The three-stage petrochemical evolution of the Steens Basalt compared to large igneous provinces and layered mafic intrusions,” Geosphere, in press. Moore, N.E., and DeBari, S.M., 2012, “Mafic magmas from Mount Baker in the northern Cascadearc, Washington: probes into mantle and crustal processes,” Contributions to Mineralogy and vPetrology, v. 163, p. 521-546, doi: 10.1007/s00410-011-0686-4. Moore, N.E., Grunder, A.L., Bohrson, W.A., and Carlson, R.W., 2017, “Source and magma processes during the onset of Columbia River Flood Basalt volcanism, the Steens Basalt, SE Oregon,” IAVCEI Scientific Assembly, Abstract ME21B-6. Bendaña, S., Bohrson, W.A., Graubard, M.A., Moore, N.E., and Grunder, A.L., 2017, “Quantification of Mantle vs. Crustal Contributions to the Steens Flood Basalt Magmatic System,” IAVCEI Scientific Assembly, Abstract ME23C-070. Louis, M., Toth, C., Bohrson, W.A., Moore, N.E., Bendaña, S., Graubard, M.A., and Grunder, A.L., 2017, “Phase Equilibria Constraints on the Magma Storage System with the Steens Basalt,” IAVCEI Scientific Assembly, Abstract ME23C-071. Toth, C., Louis, M., Bohrson, W.A., Bendaña, S., Moore, N.E., and Grunder, A.L., 2017, “Open-System Origin of Giant Plagioclase in the Steens Basalt, SE Oregon, USA: Assimilation of Plagioclase Mush or Entrainment of Plagioclase Antecrysts?,” IAVCEI Scientific Assembly, Abstract ME23C-072. Toth, C.H., Bohrson, W.A., Louis, M., Bendaña, S., Moore, N.E., and Grunder, A.L., 2017, ”Origin of giant plagioclase in a large-volume basaltic magma: entrainment of partially-melted gabbroic cumulate in the Steens Basalt, SE Oregon, USA,” Geological Society of America Abstracts with Programs v. 49, no. 6. Bendaña, S., Bohrson, W.A., Grunder, A., and Moore, N.E., 2016, “Geochemical Evolution of Steens Basalt: Quantification of Mantle vs. Crustal Contributions to an Evolving Flood Basalt Magmatic System,” Abstract V34B-07 presented at 2016 Fall Meeting, AGU, San Francisco CA, 12-16 Dec.
Moore, N.E., Toth, C., Grunder, A.L., Bohrson, W.A., and Bindeman, I., 2016, “Oxygen isotope composition of plagioclase from the Steens Basalt, Columbia River Basalt Province, SE Oregon,” Geological Society of America Abstracts with Programs, v. 48, no. 4. Lytle, K., Moore, N.E. and Grunder, A.L., 2016, “Olivine compositions of the lower Steens Basalt: Probing into magma histories of early flood basalt events,” Geological Society of America Abstracts with Programs, v. 48, no. 4. Moore, N.E., Lytle, K., Bohrson, W.A., and Grunder, A.L., 2015, “New Petrologic and Geochemical Insights into Differentiation Processes Required to Produce the Lower Steens Basalt, Columbia River Basalt Province, SE Oregon,” Abstract V41C-3090 presented at 2015 Fall Meeting, AGU, San Francisco, CA, 14-18 Dec.
Grunder, A.L., Moore, N.E., and Bohrson, W.A., 2015, “Giant Plagioclase “Mosaicrysts” and Other Textures in the Steens Basalt, Columbia River Flood Basalt Province,” Abstract V31E-3063 presented at 2015 Fall Meeting, AGU, San Francisco, CA, 14-18 Dec.
Moore, N.E., and Grunder, A.L., 2014, “Variations in whole rock and mineral composition of the Lower Steens Basalt, SE Oregon,” Geological Society of America Abstracts with Programs, v. 46, no. 6. Moore, N.E., and DeBari, S.M., 2009, “Origin and geochemical evolution of mafic magmas from Mount Baker in the northern Cascade arc, Washington: probes into mantle and crustal processes,” Geological Society of America Abstracts with Programs, v. 41, no. 7, p. 191. DeBari, S.M., Moore, N.E., and Baggerman, T., 2009, “Variable mantle and crustal influences on magmatism in the Cascade arc,” Geological Society of America Abstracts with Programs, v. 41, no. 7, p. 571. Moore, N.E., and DeBari, S.M., 2008, “Origin and geochemical evolution of mafic magmas from the Cascade arc, Mount Baker, Washington: probes into mantle processes,” 18th Annual Goldschmidt Conference Abstracts, v. 72, no. 12, p. A647.